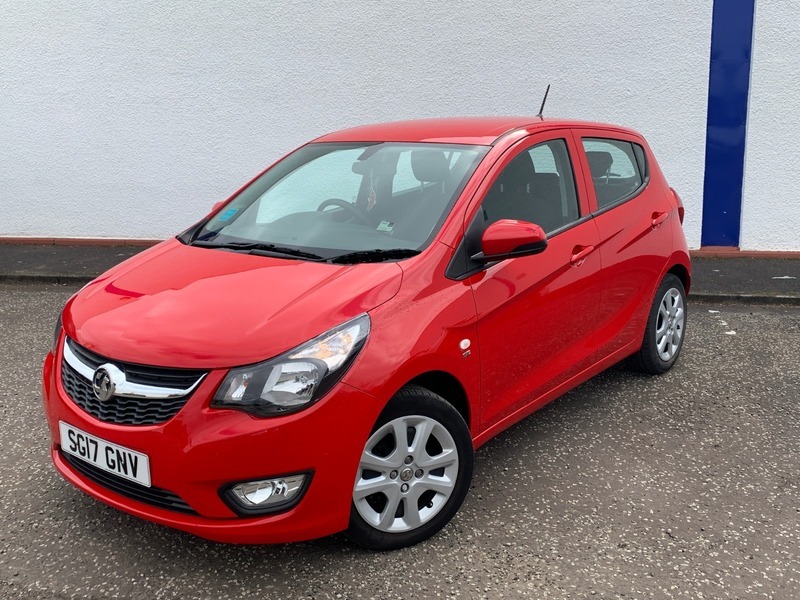 Vauxhall Viva 1.0 i SE Hatchback 5dr - £6,500 p/x welcome & Finance Available!! FULL VAUXHALL SERVICE HISTORY & OFFERS EXTREMELY LOW COST MOTORING!!! These cars are excellent value for money with road tax just £20, very cheap insurance & outstanding 61 MPG!! This car has handsfree bluetooth, plays music, air conditioning & ISO-FIX. Also has cruise control, electric windows & mirrors. The bodywork is in excellent condition, the interior is as new & will be fully valeted prior to sale. Only 1 female owner from new, 2 keys & full service history. The car is still under manufacturers warranty left on it. We can arrange finance for all circumstances, even if you have been refused elsewhere. Call us for full details. £6,500 p/x welcome & Finance Available!! Red, 1 owner, 12-Volt Electrical Accessory Socket, Bluetooth Connectivity, Cruise Control with Speed Limiter, Electrically Operated Front Windows, Hill Start Assist, Jet Black Facia, Perimeter Alarm System, R 300 BT Radio - AM/FM Stereo Radio w. RDS, Bluetooth Music Streaming, Tinted Windows, Tyre Pressure Monitoring System, £6,500 p/x welcome.